The invention in the simplest form is a retractable variable rise arena seating apparatus and method. It employs gravity displacement to facilitate adjusting and setting the various platforms, and uses a single drive motor assembly. The seating platforms can use any type of chair design, and is not limited to narrow profile designs. The seating system can be easily employed with minimum labor and time consumption for multi-purpose arenas. Looking for a license with royalties. Currently the market price for this design $1500- $2000 per seat space. 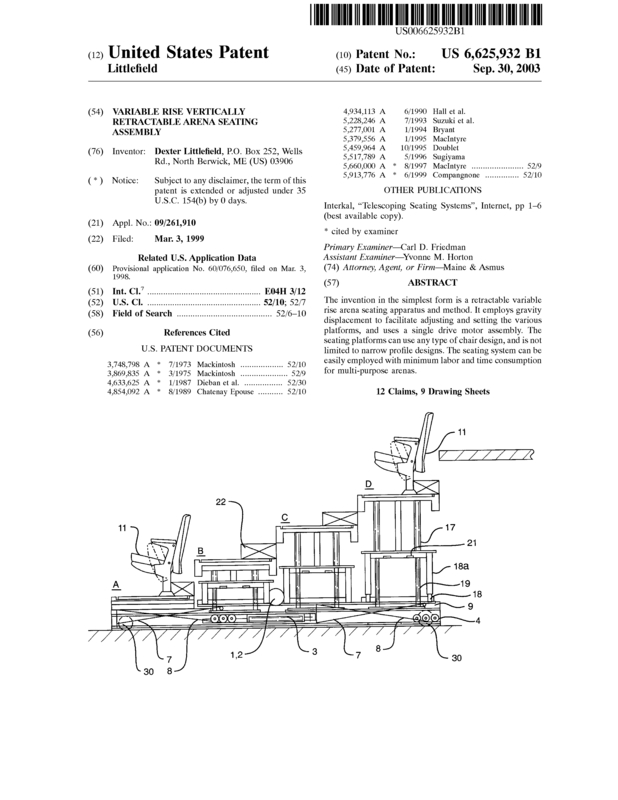 Page created at 2019-04-25 0:23:20, Patent Auction Time.